Ships tomorrow if you order in the next 22 hours 52 minutes. Vitamins B2 and B3 play important roles in the state of your overall health, including helping your body convert the foods you eat to ATP, a source of energy. While B2 and B3 can be found in many foods, such as dairy, grains, dark greens, poultry, and red meat, if your daily diet doesn't contain enough of these foods, supplementation may become necessary. 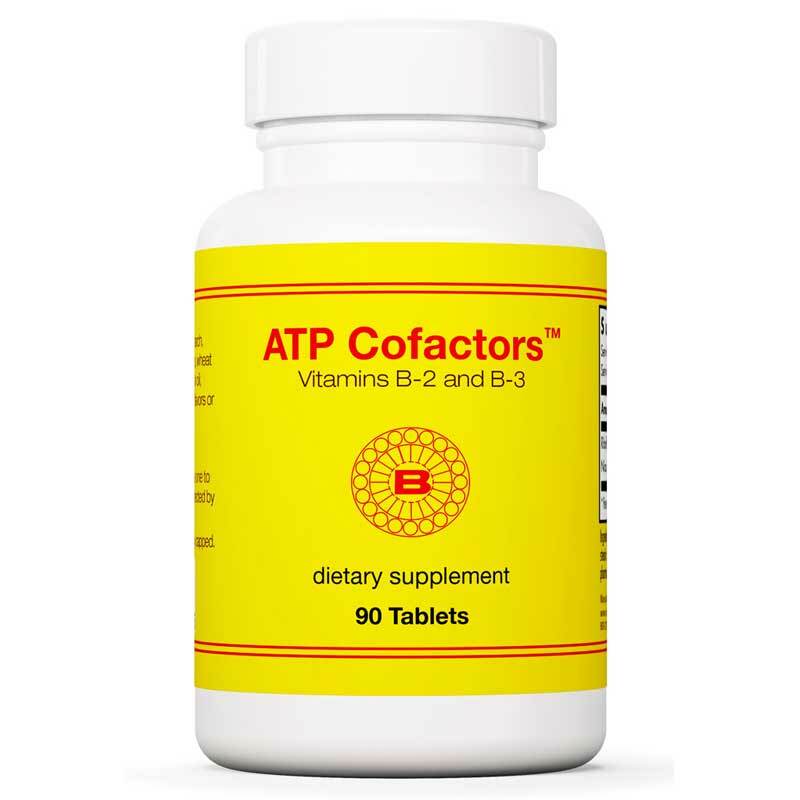 ATP Cofactors from Optimox contains high potency vitamins B2 and B3 in support of optimal health and energy production. Make the choice to ensure your body produces and maintains proper levels of energy. Start using ATP Cofactors from Biotics Research today, and stay on the natural pathway to optimal overall health and wellness. Other Ingredients: microsolle (silica-based excipient), microcrystalline cellulose, stearic acid, silicon dioxide, croscarmellose sodium, magnesium stearate, pharmaceutical glaze. 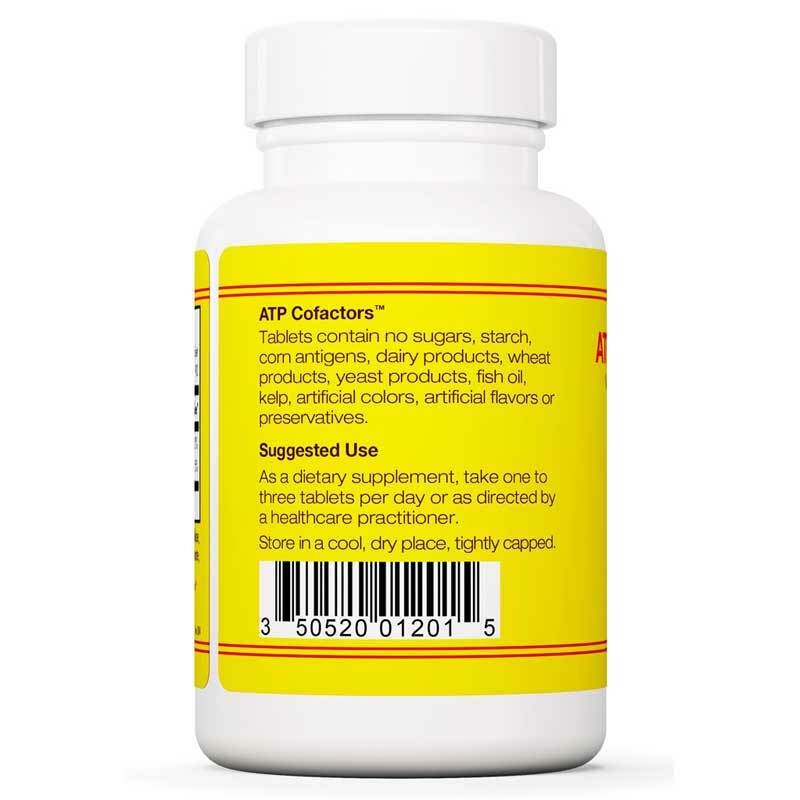 Contains NO: sugars, starch, corn antigens, dairy products, wheat, yeast, fish oil, kelp, artificial flavors or preservatives. 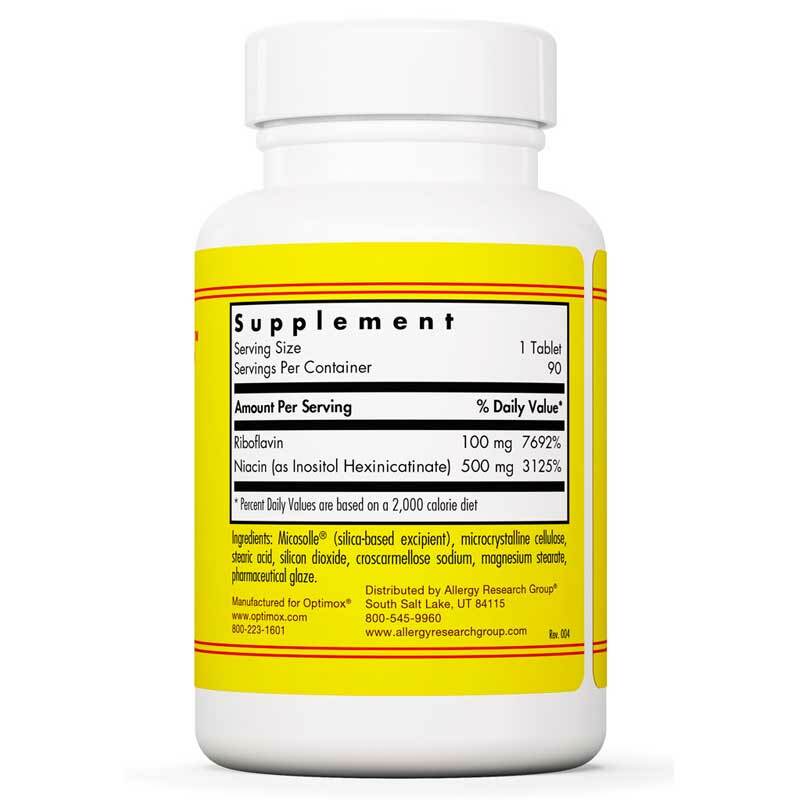 Adults: Take 1 to 3 tablets per day or as directed by your healthcare practitioner. The flushing associated with niacin is avoided by using a non flushing derivative of niacin. The Urine turns dark yellow due to the excretion of Riboflavin and may stain undergarment in subjects with urinary incontinence. My husband and I both take ATP Cofactors. Yes, I do feel it is beneficial and do recommend taking it, especially when taking iodine supplement. I take ATP-cofactor as a co- helper for Iodoral (to help with its absorption). So I don't know what to say about it. I guess it's doing it's work for me. The price is right, and the service was great! I appreciate the effective and prompt manner in which orders are received and shipped! Thank you so much.